Dr. McDonald was born near Boston, Massachusetts in 1937. After graduating from Boston College High School in 1954, Dr. McDonald left Massachusetts to attend the University of Notre Dame, then attended Loyola University Medical School in Chicago. He stayed in Chicago and spent his residency at Cook County Hospital. Dr. McDonald joined the United States Navy shortly after his residency ended. He was commissioned as an officer and assigned to the United States Marine Corps. Upon leaving the military service in 1966, Dr. McDonald and his family moved to California. Settling in Santa Rosa, Dr. McDonald truly found a new home. He loved the beauty of Sonoma County. As a family physician, Dr. McDonald opened a medical practice across from Santa Rosa Memorial Hospital, which did not have an emergency department at that time. In fact, the entire city of Santa Rosa was without one. Dr. McDonald believed it was necessary. In 1971 he created Santa Rosa’s first emergency department at Santa Rosa Memorial Hospital. Dr. McDonald became Board Certified in Emergency Medicine. He served as Medical Director of the emergency department at Santa Rosa Memorial Hospital for over twenty years. During that tenure, he was the Director of Sonoma County’s pre-hospital care program where he saw another opportunity to improve the level of patient care delivered to Sonoma County residents. They did not have a paramedic program in the early 1970s and Dr. McDonald was successful in creating the area’s first paramedic program, which he led for over two decades. The presence of paramedics on ground ambulances and the advanced skills they brought to the pre-hospital environment surely saved lives and decreased disability. In the 1980s, Dr. McDonald began advocating for the creation of a regional trauma center in Sonoma County. He believed that trauma victims who could have and should have lived were in fact dying because of the absence of a regional trauma center. With the help of others, he worked for years to get Santa Rosa Memorial Hospital officially designated as a trauma center in March of 2000. 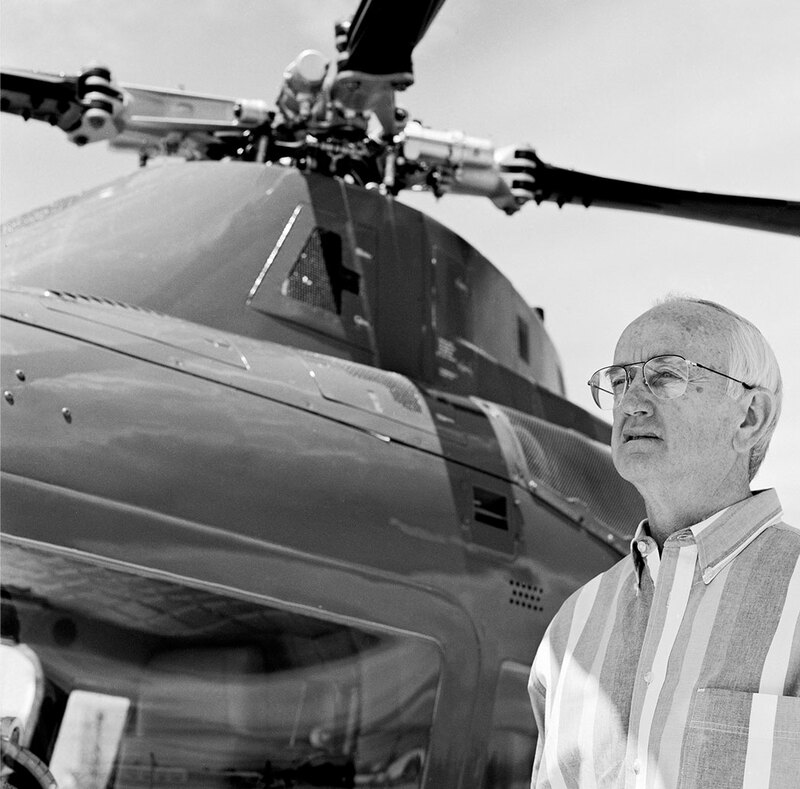 Dr. McDonald founded REACH Air Medical Services in 1987. He believed that the presence of a helicopter air ambulance in Sonoma County would benefit the community. Dr. McDonald served as REACH’s Medical Director and chief proponent of “doing what is right for the patient” until the time of his death in 2000. His dream lives on today. REACH has continued to thrive and now operates bases throughout California, Oregon, and Texas. The company Dr. McDonald created in 1987 to help the citizens of Sonoma County has done just that–and more. To date, his vision has resulted in more than 85,000 patients being cared for and transported by REACH. Dr. John L. McDonald, Jr., a prominent Sonoma County emergency physician who founded REACH Air Medical Services, died in a plane crash on October 4, 2000. He was 63. The McDonald family has established a memorial fund that will pay tribute to Dr. McDonald while helping others, which would have pleased him. The family decided to establish the John L. McDonald, M.D. Paramedic Education Scholarship with the Santa Rosa Junior College Foundation, to benefit the college’s paramedic certificate program. The scholarship fund helps students enrolled in the program with fees and materials. During his lifetime, John touched countless lives. His legacy will continue by helping to train future generations of paramedics, in keeping with his commitment to providing high quality emergency medical care. Visit the SRJC Foundation’s Make a Donation page, select “other” from the Donation Category, and specify your gift is for the John L. McDonald, M.D. Paramedic Education Scholarship. This secure site accepts VISA or MasterCard. You can make your donation by calling the Foundation at (707) 527-4348. You can mail your tax-deductible gift to: SRJC Foundation, 1501 Mendocino Avenue, Santa Rosa, CA 95401 noting it is for the John L. McDonald, M.D. Paramedic Education Scholarship.